Dwyane Wade is still not sure if he will play in the NBA in the 2018-19 season. 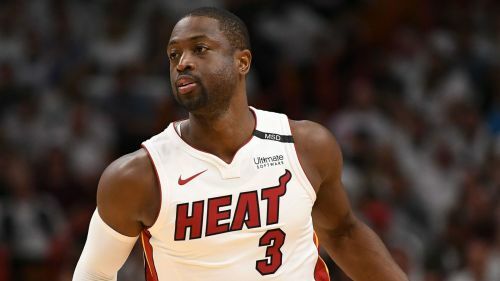 The 36-year-old guard has been contemplating retirement this offseason and Wade said he has yet to make a decision about his future, even though NBA training camps are set to begin this month. "I wish I had an answer for you. I don't have it today," Wade told the Sun-Sentinel. "Whichever day the decision comes, it comes. And that's the right day, whatever date that is." Wade spent the first 13 seasons of his career with the Miami Heat, winning three championships. He played for the Chicago Bulls in 2016 and signed a one-year, $2.3 million contract with the Cleveland Cavaliers last September. Wade appeared in just 46 games for Cleveland before he was dealt back to the Heat in February. He averaged 12 points per game for Miami after the trade. The 15-year veteran has said throughout the summer he will only play for Miami if he returns in 2018-19. "I think I've been very open and honest to my loved ones and to everybody when I spoke about some of the process,” Wade said. "I always said that when I got traded back to Miami, that was it for me. I said it in the first interview and I don't want to pack my bags to go nowhere...If I'm not wearing a Miami Heat jersey next year, I'll be wearing it under one of my sweaters or jackets." Dwyane Wade: I told Stephen Curry I needed this one!